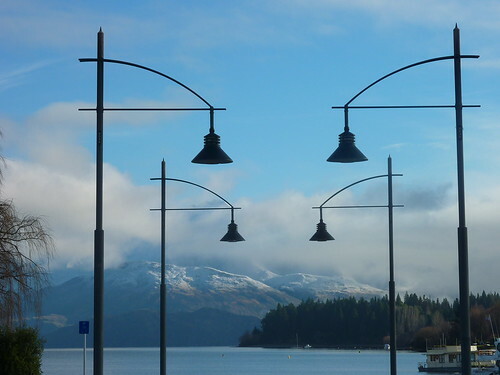 Wanaka is a small town which is home to two essential stops - Puzzling World and the Aspiring Campervan Site. 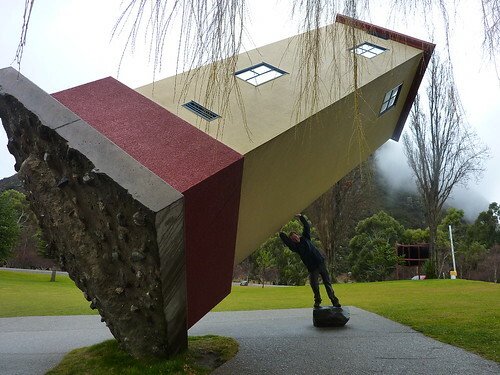 Indoors, you'll find everything mentioned above, plus a number of crazy rooms which will have you questioning your balance and sense of gravity. 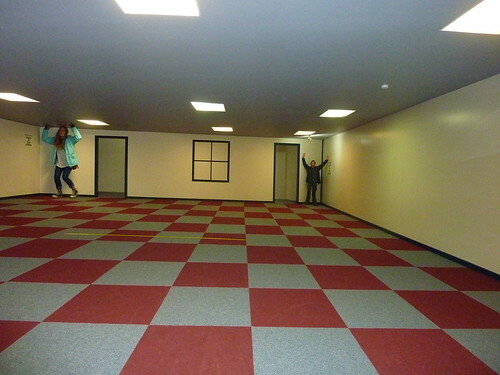 The Ames Room warrants particular mention, since the technology used to design it was incorporated into the Lord of the Rings trilogy to make the hobbits look smaller than the other actors. Video may give you a better appreciation of how it works - no camera tricks, this is all about the clever design of the room. 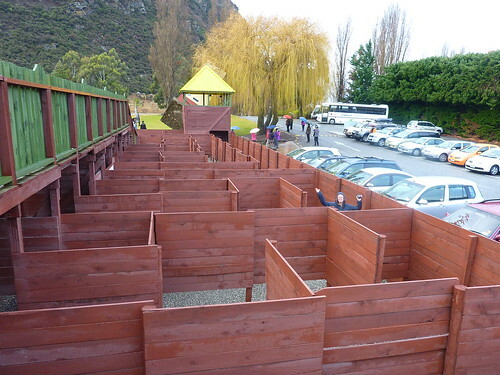 Outside is a large maze which has four corners you need to reach in order to "complete" it, all with different coloured towers. Gilly and I set off at the same time and I managed to get to all four towers before her. 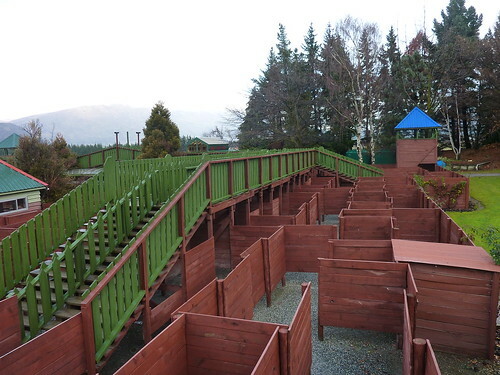 Unfortunately, to actually finish you then have to leave the maze. This is where I got into trouble. I wandered around getting more and more confused, and despite a rainstorm that had decided to kick in not long after we started, and despite temptation from a number of emergency exits - only to be used by the weak, frail, and those in desperate need of the toilet - I finally left the place to find that Gilly had beaten me to it. By about ten minutes. This perfectly highlights why I cannot function in a car without a sat-nav. 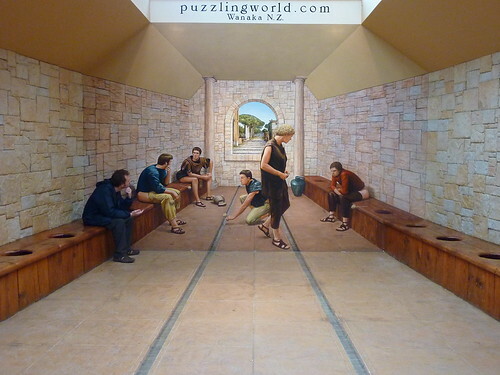 Puzzling World is a great diversion for half a day, and if you fancy yourself as a psychic then you have the chance to win $100,000 by locating a piece of paper hidden within 100 metres of a poster in the main lobby. You can use any psychic powers you have to find the paper but there's a catch: you have to pay $1,000 to attempt it. If you find it, the money is yours. If you are defeated, your fee gets donated to charity. 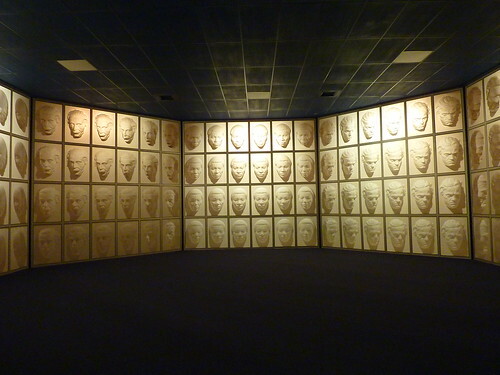 Five self-proclaimed psychics have tried, and unsurprisingly none of them have managed to succeed. It's almost as if their psychic powers are a complete sham. One entrant was completely baffled by his failure, which suggests a staggering amount of self-delusion in the psychic world. Why didn't Mystic Meg ever win the lottery, anyway? 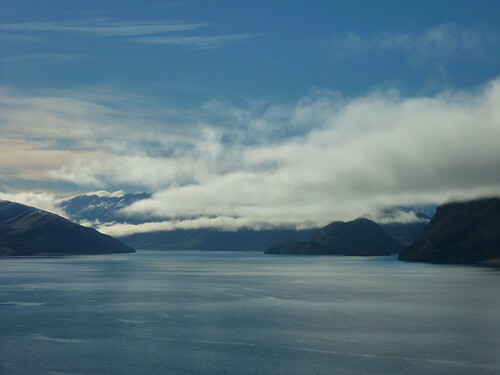 The second reason to stay in Wanaka, especially for folks travelling in campervans, is the incomparable Aspiring Campsite. 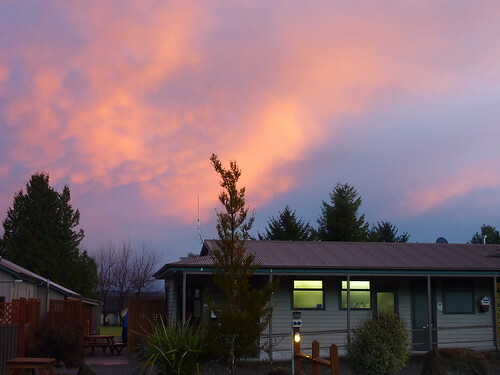 For $34 a night, you get a fully-equipped kitchen, lounge with huge TV and log fire, and free wi-fi (which is something approaching unicorn status in NZ). If that isn't enough, they throw in a free sauna and spa. We were recommended it by some people we met along the way, and we in turn recommended it to Paul and Fi who liked the place so much they spent several days here. 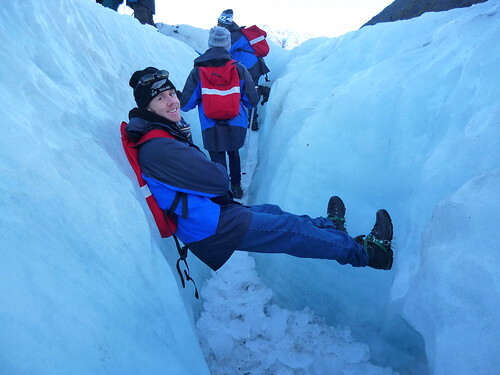 As much as we'd have loved to stay for more than one night, there isn't that much else to do in Wanaka. We visited an art gallery in the morning, and took a stroll by the waterfront before setting off. 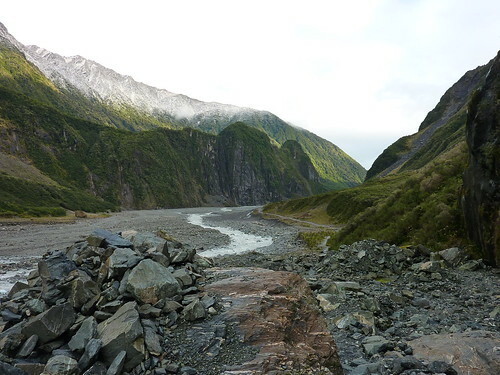 Our goal was the Fox township, home to the Fox Glacier. Before that though, there were stops a-plenty to make. The Blue Pools was one such stop. Supposedly filled with crystal clear water and hundreds of trout, we crossed bridges and hiked hills to ultimately find a fairly murky (yet blue) body of water, and not a trout in sight. 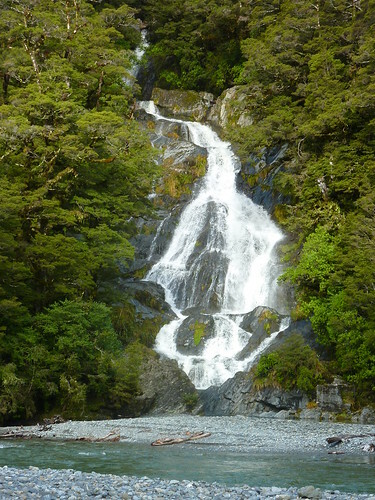 Next up: Fantail Falls and Thunder Creek Falls, separated by the brilliantly named Gates of Haast which is actually just a bridge. 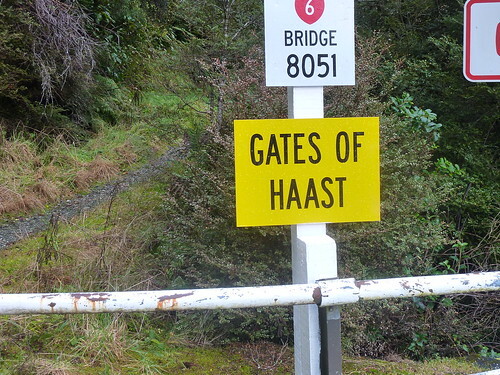 Someone in town planning must have got a bit carried away with a Dungeons and Dragons name generator. With so much drama, we were ready for an early night and pulled into a Fox campsite that evening. 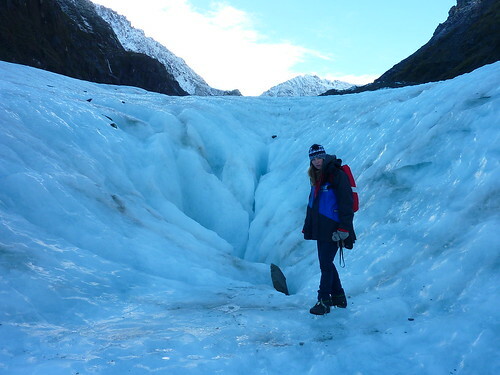 The Fox Glacier is one of two glaciers in the area that are hikeable. 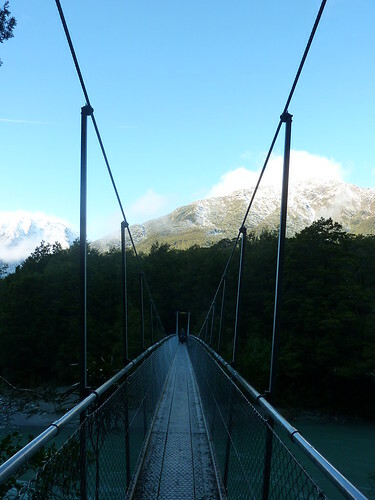 The other is the Franz Josef Glacier, which was previously the most popular of the two. 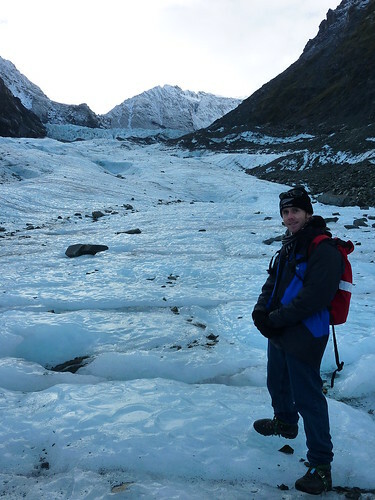 Due to the glacier's retreat though, Franz Josef is now only accessible by helicopter, hence our visit to Fox. 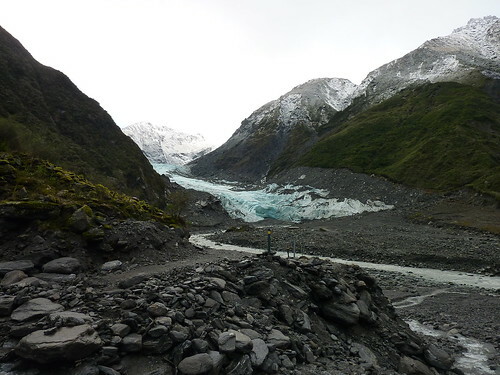 The glacier is named after William Fox, a previous NZ premier and the first tourist to visit it. 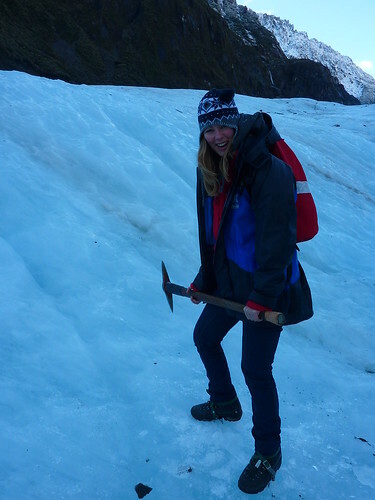 After buying tickets that morning, we got given fleeces, gloves, overcoats, shoes and snow spikes and set off on the hike. 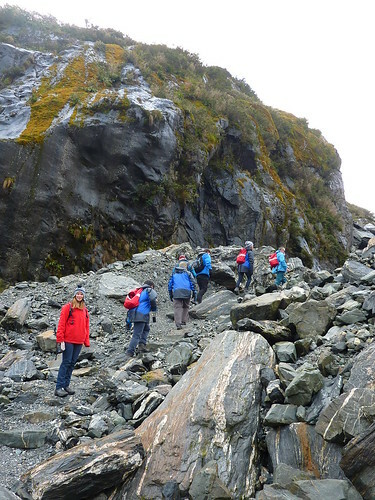 The walk to the glacier itself takes about 30 minutes from the car park, over rocky ground. 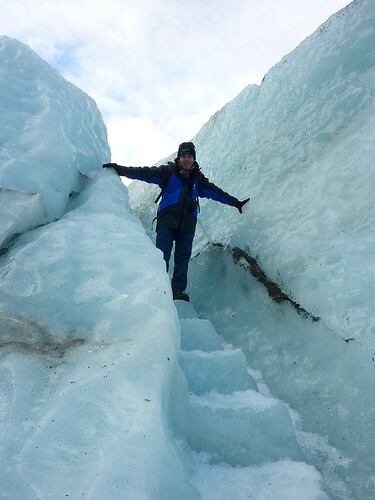 As we approached the ice, we slapped on the snow spikes and hiked on to the glacier itself. 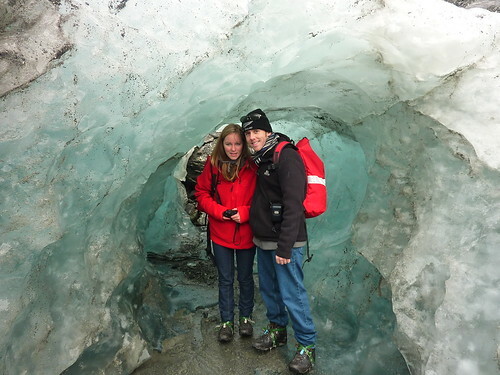 The first thing we got to was an ice "cave" caused by the flow of the ice being pushed over itself as the glacier moved. 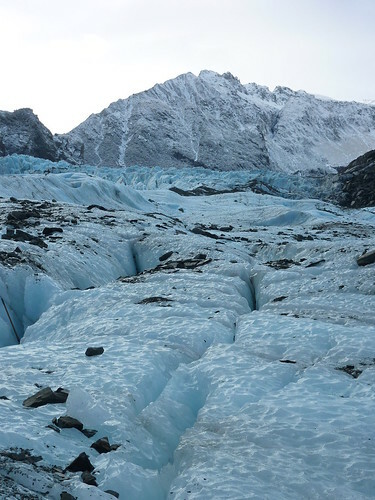 You might not think a glacier needs maintenance, but you'd be wrong. 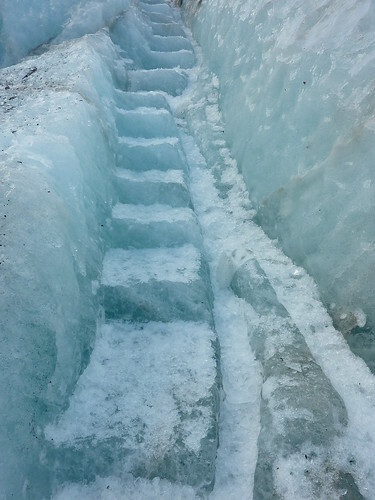 Every day at a ridiculous hour of the morning, a group of workers go out onto the ice and carve steps in preparation for the hikes. It's such a strenuous job that each worker is only allowed to do it once a week, as it can severely impact the tendons in the wrist. We had a go at it, but weren't very good. 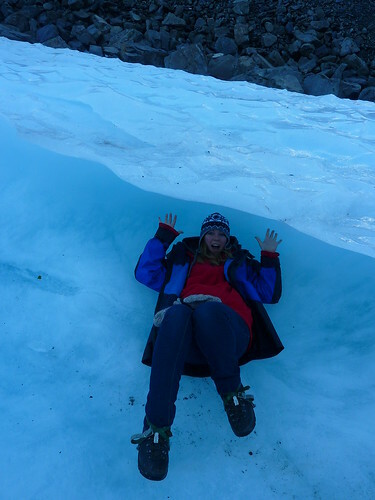 There are also ice shelves which you can sit under. The shelves blend in so well with the surroundings that unless you are looking at them from the right angle, they look almost invisible. 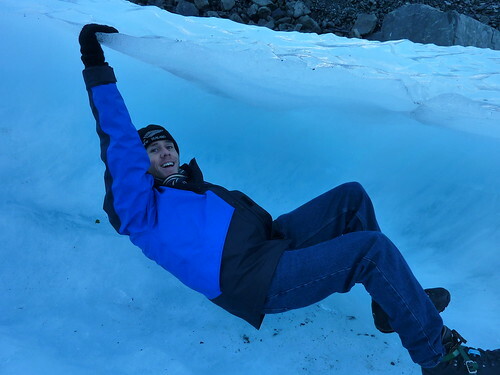 I wasn't expecting the glacier to be as beautiful as it was, and with just a small hiking group the experience was great. 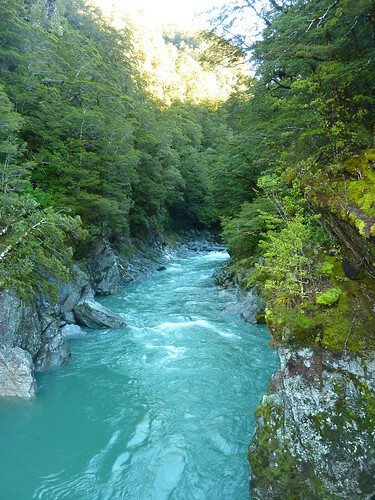 We had to make progress up the west coast, so travelled as far as we could before stopping in Greymouth for the evening. 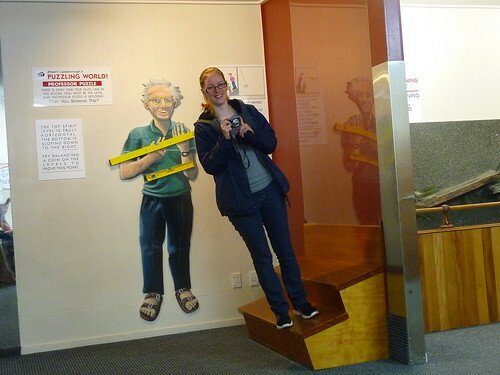 Tip:- don't stay in Greymouth. 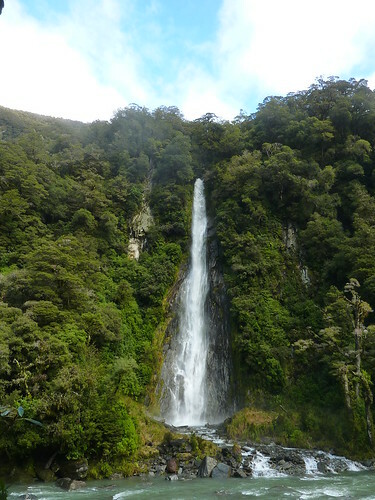 There is nothing of interest there (even Kiwis have nothing good to say about the place), and the facilities at the campsite we picked - from the very limited choice available - were abysmal. 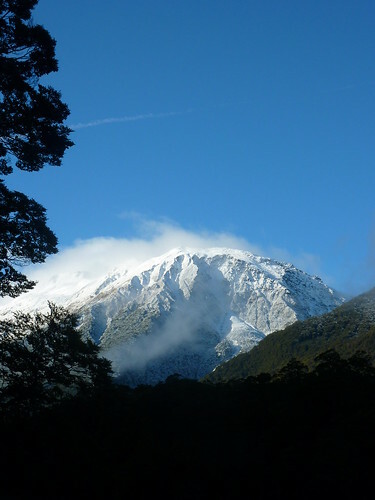 You may have heard that the majority of homes in New Zealand don't have central heating. This is true, but they generally have other means of heating rooms. Campsites, on the other hand, will usually let you freeze in the kitchen unless you ask for some form of fan heater. We normally ended up bringing the heater from our van and plugging it in somewhere just so we could get enough blood moving around our fingers to cook. 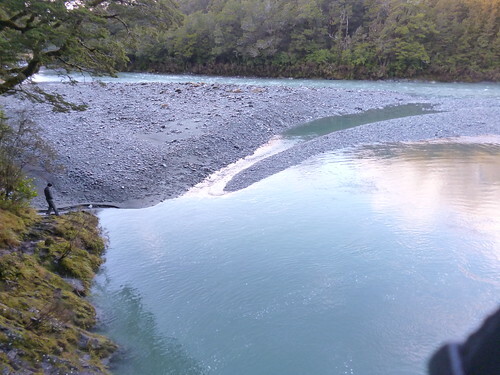 Sites like Aspiring are few and far between, and coming to a place like Greymouth with a quality park like that still fresh in our minds only serves to highlight the more woeful sites. Still, it was only one night and we sucked it up, although the weather was getting noticeable chillier as New Zealand's winter started to exert its grip.